Adometry, formerly Click Forensics, Inc., redefines marketing analytics by combining and interpreting previously silo-ed sources of big data to generate actions that improve return on advertising spend and increase sales. Through its SaaS-based attribution platform, Adometry processes tens-of-billions of marketing touch points from online and offline media channels for some of the world’s largest advertisers to identify the true consumer purchase journey. Adometry’s scientifically proven methodology and flexible, easy-to-implement solution generates the industry’s most accurate insights, in the shortest amount of time. Its clients include Microsoft, Hyundai, Tory Burch, Havas and AT&amp;T.
AdSafe Media is now properly known as Integral Ad Science. It is a global media valuation platform that is integral to the buying and selling of quality media. The company focuses on a comprehensive solution set that enables advertising to appear in quality environments where they receive quality exposure–and rewards the sell side for providing quality media. Their platform drives improved visibility and ROI for players across the digital media landscape. AdXpose acquired by ComScore is the leader in digital advertising analytics solutions and uses same technology as adometry i.e. SaaS technology which provides advertisers and publishers with greater transparency and confidence in the quality, safety, and performance of their digital advertising campaigns. AdYapper is an MRC accredited ad viewability specialist focused on working with marketers and agencies to increase the efficiency and effectiveness of their digital advertising. AdYapper’s proprietary technology is able to detect where digital ads are appearing, if they are being seen by consumers and for how long. By arming marketers with these insights along with actionable recommendations AdYapper unlocks major gains in campaign performance and increases budgets for digital advertising.It’s is a platform that provides real-time detection and elimination of wasted ad spends. They enable brands and agencies to understand in real-time, if their ads worked, if their ads were ever seen (viewable impressions), and what people really think of them. Additionally, AdYapper’s consumer-facing platform empowers users to rate and respond to ads, when and where they experience them. AdYapper tracks display and mobile ads, generating detailed verification data, consumer sentiment, and viewability monitoring on 95% of all ad impressions. They generate real-time analytics across the entire ad buying ecosystem and centralize the data into one platform to identify wasted ad spend and provide direction on how best to reallocate the recovered ad spend to make in-flight campaign decisions. Double verify a well-known ad verification company which provides online media verification and campaign effectiveness solutions for brand marketers, agencies, advertising networks, demand side platforms, exchanges and digital publishers looking to ensure quality advertising environments, campaign transparency and performance. 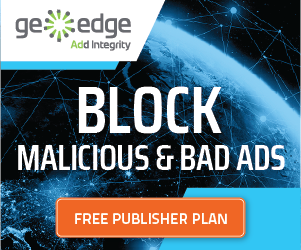 GeoEdge analytics is an awesome ad verification company and has proved to be the ideal ad verification solution. They offer ultimate malware protection on top of a host of compliance and operational alerts. Their best part is that they are simple to work with and gives best solution. GeoEdge Analytics is fast and easy to set up, requires no integrations with the ad server and is entirely seamless (no tags). Operating the system is as simple as implementing it. With an extremely friendly user interface and short learning time, GeoEdge Analytics makes it simple to search through the collected data, filter it according to multiple criteria, generate accurate on-demand reports and receive real-time alerts. They help to view, monitor and analyze ads that are displayed on ‎any web or mobile site, for any user, in any geo location to ensure compliance, streamline ad ‎operations and maximize monetization. Proximic helps media traders grow revenues through improved online ad placements by supporting their transactional decision-making with real-time page-level contextual, brand protection, and audience interest data. We do this by providing the most complete, fresh, and transparent real-time assessment of value-impacting data, such as a web page’s content, its appropriateness for specific advertisers, and its visitors’ interests. The company helps brand advertisers assess the quality of ad environments for their brand messages. This leads to higher acceptance of online ads for users and advertisers and ultimately brings more revenue into the online ad market place. Peer39 is an online semantic advertising company which has the technology that provides page level intelligence that accurately and efficiently matches online ads to content. The company’s patented natural language processing and machine learning algorithms are able to derive Quality, Safety, Language, and Category attributes from web pages, thus empowering networks, exchanges, publishers, SSPs, DSPs and emerging advertising platforms to boost monetization. Project Sunblock is one of the world’s leading Content Verification tools dedicated to providing the best in brand safety for digital advertising. Their real-time monitoring and threat assessment technology paired with their intelligent decision engine which provides the type of online brand insurance that is required in today’s complex internet marketing landscape. RealVu develops viewable impression technology for measuring digital ad performance and offers RealVu platform, a multifunctional on-line media and advertising manager for the delivery, tracking, and reporting of advertising and media based on viewable impressions. It is the only premium distribution platform dedicated to transparent brand safe Viewable Impressions (CPMv). Their marketplace is built on a proprietary ad serving platform that actually determines if an ad space is viewable before the ad is requested. Then based on a number of parameters including viewabilty, contextual, geographic and behavioral targets, RealVu serves the display advertising. “Trust, But verify with us” is their company slogan. It is a verification company which is the leading provider of transparency and ad verification solutions to over 300 companies in the online and mobile advertising ecosystem. Their proprietary web monitoring technology identifies malvertising and data leakage occurring in ad tags and content running through the entire advertising value chain- from agencies and DSPs, to ad exchanges and networks to sell side platforms and web publishers. They supports display, rich-media, video and search advertising on behalf of some of the most well-known brands on the internet including AdMeld, AdMob, AOL, Burst Media, Comcast, OpenX, Toyota, Yahoo and YouTube. we are looking for a tool that will make sure that banner ads are functioning properly in a third party website. For example a pharma brand video ad on webMD…..
All the ad verification tools help you get that visibility. You can refer GeoEdge Ad Verification also. How do brands verify if their ads are displayed on a DOOH banner at say an airport? Are there companies which do this? The technology is growing but have not become a easy pie and needs a lot of integration to check on the numbers. Today in India we are still relying on partners numbers and the commitments provided. Confiant (ClarityAd) is another provider that we’ve been working with. Very effective in detecting redirects compared to other vendors. there is also The Adex – Verification which does Viewability and AD-Verification.